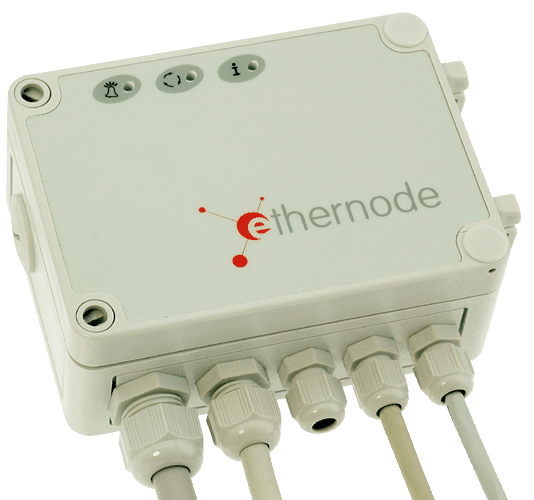 ethernode® ETH-A7x-2I2RHV offers 2 digital inputs for mains voltage and 2 mains relays for max. 5A at the Ethernet - additionally an exact input for a Pt100 temperature sensor for applications, e.g. 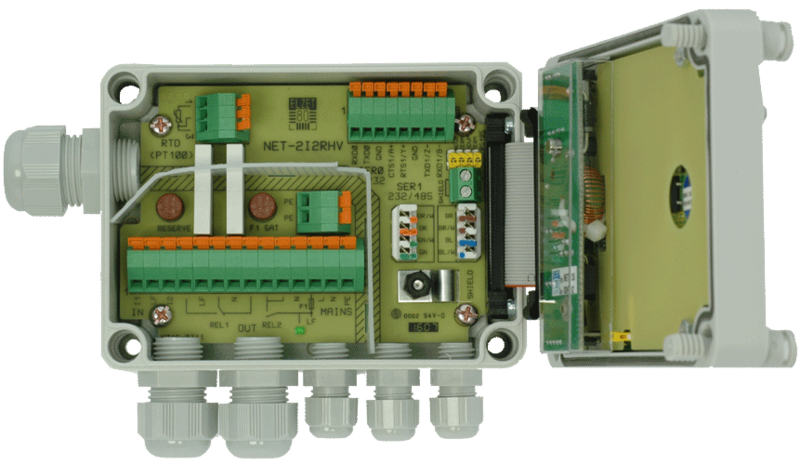 as a 2-point-controller or for reversing switches or just in order to switch mains signals. Standard-ethernode with PoE supply. 2 relays 230VAC, 1xPt100, 1x RS232, 1x RS232/485. ETH-A7/K60x-2I2RHV has to be fed over the Ethernet cable by a switch or a midspan unit. Please see the PoE page for details on the technology. To open and close a cover with a 230V-motor or to regulate the temperature of a tub conveniently - these are standard functions for the ETH-A7-2I2RHV. 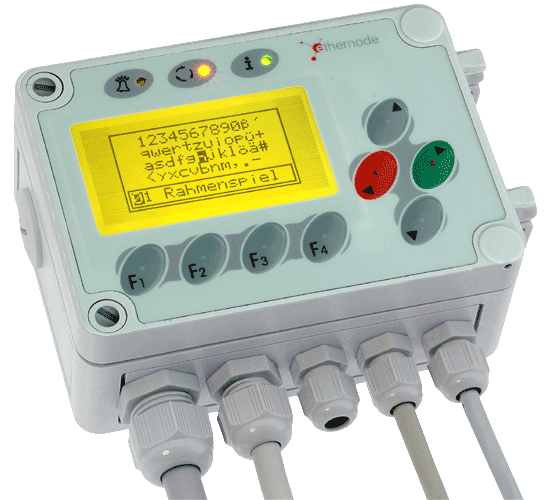 Without annoying 24V-supply and with integrated Pt100 transducer. Room temperature control and the time based switching on and off of units are other applications. ETH-A7x-2I2RHV has got 2 digital 230VAC inputs on optocouplers, for easy switches there is "L" available at a clip for the convenient wiring. 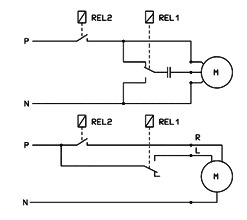 The two relay outputs switch 5A Ohm resistive load at 230V (2A at cosφ of 0,4) and they are suited perfectly for motion control because one of the relays is executed as a changer. Local programming in C is required for the application for example as a temperature controller. Thereby it supports our mCat real time kernel e.g. with time control and I/O access over functions. If you wish an autarc function of ETH-A7-4I4R, you have to programm your application task in C and to load it with the aid of the mCat monitor SYSMON at first into the RAM and later on into the flash on the ethernode-A7-CPU. Process in- and outputs of mCat are available with convenient I/O functions with in(...) and out(...) macros, the so-called Express-I/O. If you want to communicate with other tasks, send and receive messages e.g. of SerDrv for serial periphery. The Ethernet communication usually runs over the Socket-Interface. You can access all in- and outputs that are supported by Express- I/O directly from a Windows® PC over our nodeAccess™-DLL. Therefor no programming on ethernode is required, but though you do not achieve an autonomous functionality in case of a breakdown of the Ethernet. The access to ETH-A7-4I4R over its Web-Interface is very universal. You can design one or more pages with your favourite HTML editor and interlace mSP instructions into these pages. mSP are "mCAT-Server-Pages" instructions that are replaced at the access time by a browser of the mCat webserver by for example the current state value of a digital input. For the relays you have to define buttons or check boxes wherewith the over mSP linked output is switched. The 4I4R versions of ethernode® and ethernode®LCD respectively can get remote powered by the IEEE802.3af Powerover- Ethernet technologie of course, too. Therefor you only need the corresponding mains adapter.